Check out our Facebook page (turn your head one inch to the right, click, view) for our latest project, starting Monday. Oh, and, Like us if you don’t mind. We LIKE you! I have no idea where you are, but here it is rainy and cold and gray. Also, I’m wearing white, black, and gray, so I match the sky. Also, I’m tired from catering a baby shower this weekend and wish I were in bed with my dogs. So, to lift my spirits, I’m planning what to make for dinner tonight. 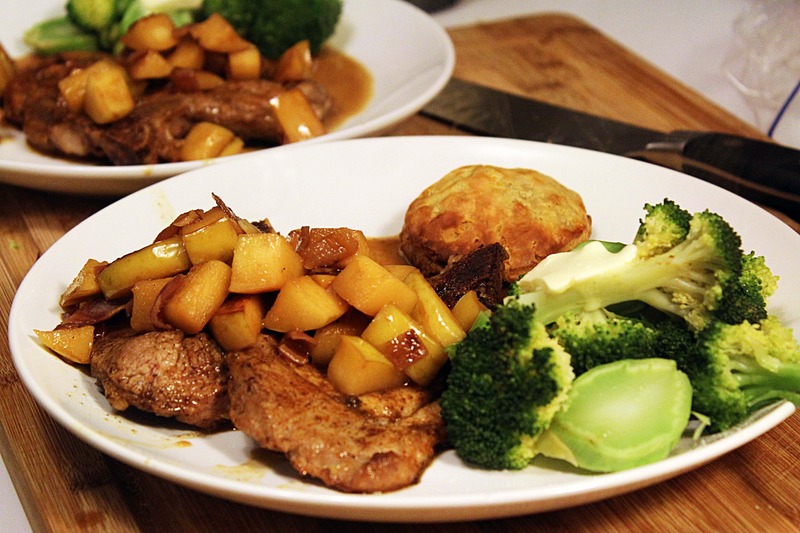 These pork chops with apple topping are delicious, simple, and SO cozy on a cold night. Try them out! There are a few things important about this particular post. 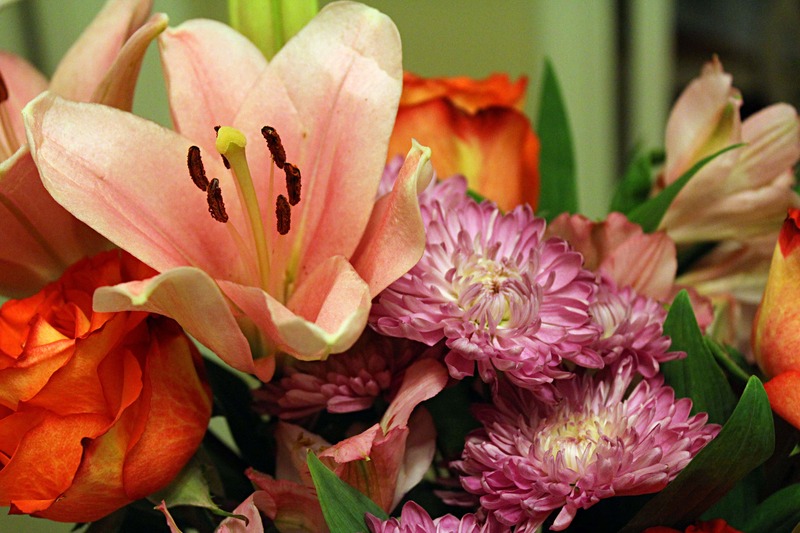 Inexplicably, on the same day, Jay got me beautiful flowers while I was spending time with my sister. I didn’t see them until I got home, but by that time Great-Grandpa had already passed away. It was kind of a nice coincidence. I think he likes me. Also, I got a new camera! It’s a Canon T3i and I’m in love with it. That’s why I took so many pictures of the flowers. And, because they were beautiful. Entertaining This Week? Go Italian! I love having people over on weeknights. It’s wonderful to break up the week with friends, laughter, and great food. But, it stinks to race home from work, clean, cook, and try to look presentable in the 36 seconds between work and when your guests arrive. 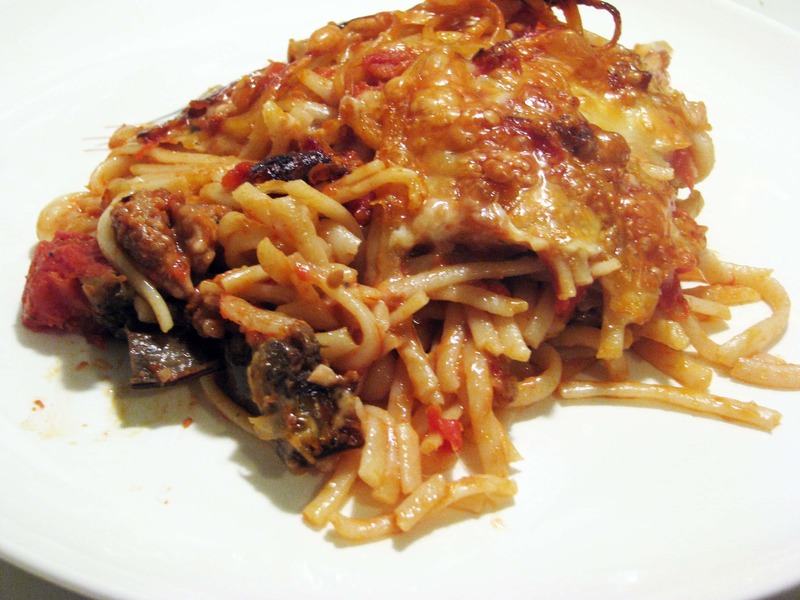 So, why not make a crazy-easy make-ahead meal TODAY and have it in the fridge any day this week?